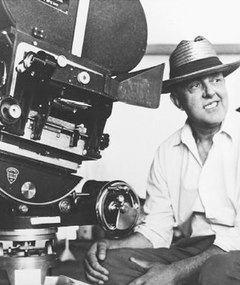 SECRETFORTS: L'iconique: The Quiet Charm of Jacques Tati. 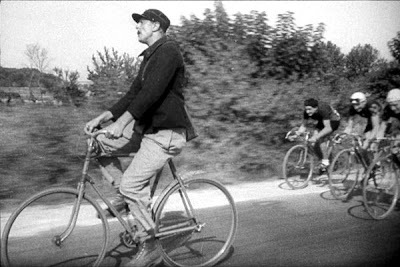 Late one night years ago, on a trip to France for a friend's wedding, in bed with my now wife, while she slept, the television was on and it's there that I found myself watching Jacques Tati's brilliant "Jour de Fete". 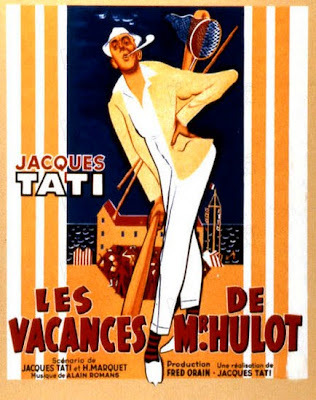 Tati, born 1907, after a stint as a professional rugby player and success as a mime, would move into film, starring in all but his last film, and for the better part of his career, as Monsieur Hulot, the bumbling outsider to the rapidly advancing post-war cultural march toward modernity. 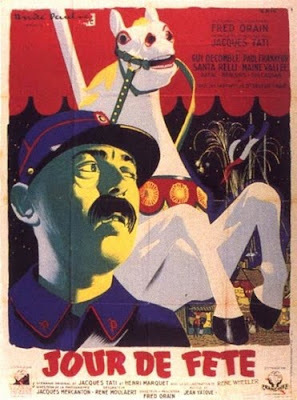 "Jour de Fete" however, the most singularly rural of his chosen settings, came two years following his first film, "L'École des Facteurs", a short from 1947 in which Tati first debuted his easily distracted postman in training. 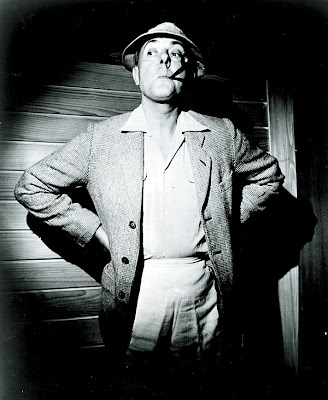 There's much to like about the man and his films. Do yourself a favor, if you haven't already, and acquaint yourself with Tati's films. 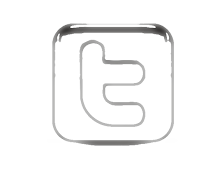 Below, "Trafic", 1971. 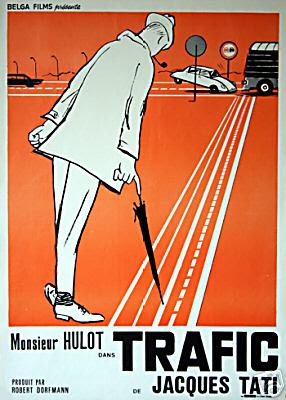 His final M. Hulot film. 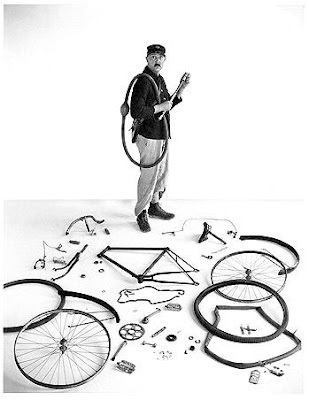 Mon Oncle is one of my all-time faves. 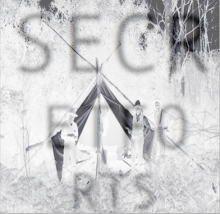 site gags for miles! Playtime is one of my top ten favorite films of all time, great post! Had the opportunity to see 35mm print of Playtime, so fantastic! 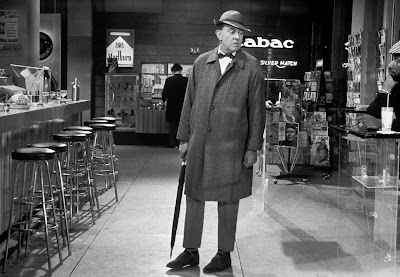 i can totally remember being in the theater with my dad as a kid watching "mon oncle"and amazing homage to the slapstick comedy from an amazing french man and oscar winning movie indeed . Playtime is one of my favorites as well! 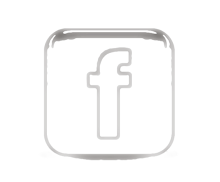 I'm with Self Edge... great post James! !